Police are looking for three women who allegedly repeatedly punched a 26-year-old victim and beat her with a stick in a Bronx park before stealing her cell phone and running off, authorities said. 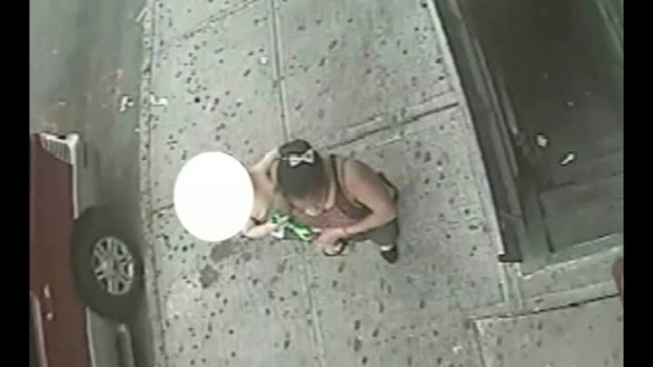 Authorities released surveillance video (above) of the women wanted in connection with the late afternoon attack last Tuesday in a park on the corner of East 181st Street and Morris Avenue in Tremont. One of the women on the surveillance video is seen carrying a small child. Police say the suspects walked up to the victim in the park around 6 p.m. and starting punching her and hitting her with a stick. They then ran off with her phone. The victim suffered multiple injuries in the attack, police said. Details on her condition were not available.